Our superior 'Boxed Edge' Cushion is designed for comfort, enduring beauty and to also help if you need a little boost. Available in Stock sizes or Custom-made to fit up to 90" benches. Made with a comfortable 2" or 3" Booster size thick foam padding and a lovely stitched piped edge all around the cushion. The special design of the cushion with the classic rolled edges, allows the length & width measurement of the bench to be 'plus or minus an inch' and still provide a suitable fitting bench pad. 3 Ties on either side, secure the cushion to the bench top. Beautiful fabric is 'Soil & Stain Resistant' made of soft acrylic polyester Velour - Click Here to view a larger image of the colors. CUSTOM MADE CUSHIONS:....If you don't see your size here, we can custom make your cushion to fit your bench. Select "Custom Made" as your Item number, and type your bench measurements in the box indicated. Maximum Size - 20" x 86"
Custom Made Sizes - 2" Cushions - .31¢ per square inch. 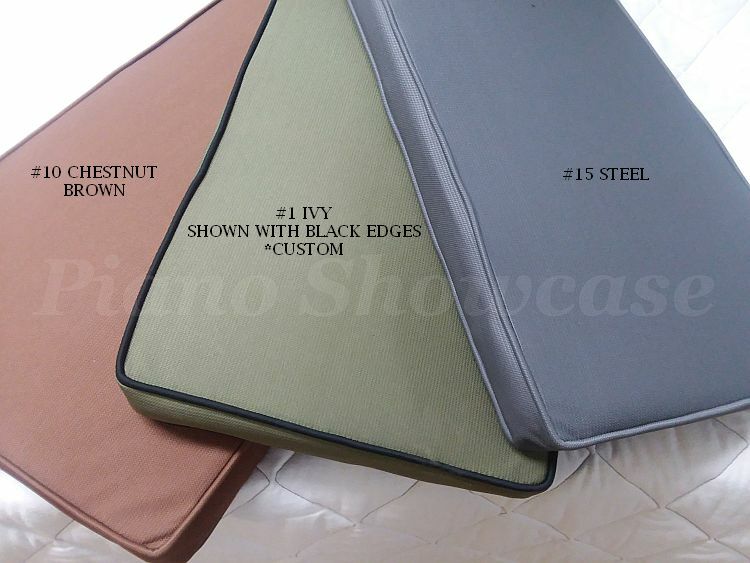 Custom Made Sizes - 3" Cushions - .36¢ per square inch. IMPORTANT: - (Please note that our shop cannot calculate the price of custom sized cushions. For example: 13" x 30" = 390 sq. in. x .31¢ = $120.90. Make your selections from the menu above. Standard return policy for stock sizes. 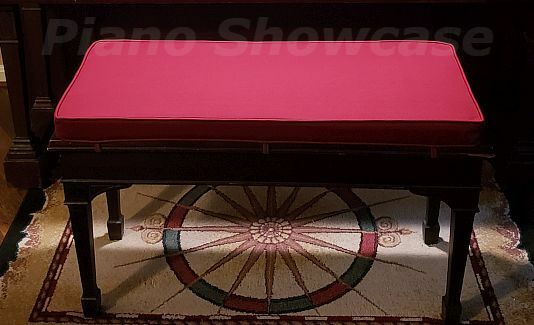 I have received this product and the quality is very nice and it looks and feels soft, the piano player in the house states it so much easier to sit at the piano for long periods of time without discomfort.I ordered this product at Christmas time and due to my own procrastination they still got this to me in less time then they said it would take So very pleased with the total buying experience. 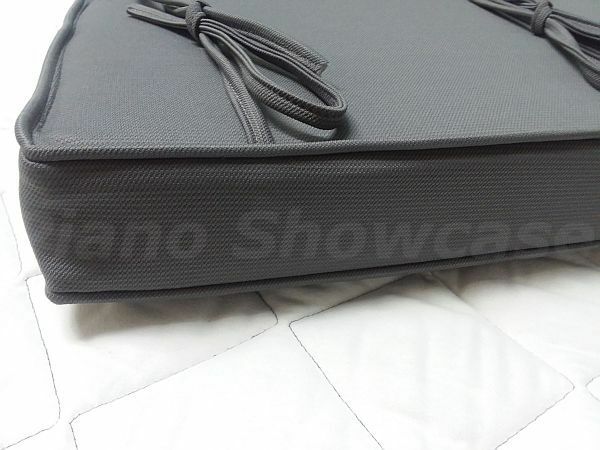 Some time back we ordered a cushion for our piano bench. The cushion looks so much better than the LARGE music book we were using. We were able to match the colors of in the church very well. This time we ordered a cushion for the bench at the organ. It matches the first cushion ordered, and it too matches the interior color. The workmanship is excellent. They will last a long time. The Piano at our Church was put on a lifter so the legs wouldn't break when it was moved around. However, they didn't put the bench on a lifter, so it was very uncomfortable for the pianist to play the piano. We were having to bring cushions from our homes to sit on and be in a comfortable position to play for Services. I ordered the 3" Cushion and it was as advertised. I was really impressed by the quality of this product. The fabric is durable and a nice color. I ordered chestnut brown. I also ordered the thicker pad and it's very comfortable. You don't sink into this pad. It's strong and provides great support. I've been able to sit at the piano for 2+ hours with no problems at all. I would highly recommend this bench pad. I ordered two of these extended length cushions -- bot for piano beech use, but as cushions on hard benches in my home, as the fit was perfect. The 3" thickness makes them very comfortable, and the color choice was better than any furniture upholsterer I contacted. The box top styling is attractive, and I have received many compliments on the cushions.